horns « DON’T ROCK N ROLL NO! 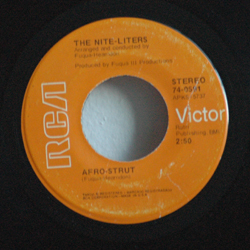 Published on November 30, 2007 in 70s, funk and single. Closed Tags: 197?, 45, funky, fuzz, horns, instrumental, scratch. I really don’t know much about this track other than that it has the world’s best title. I picked this up for a couple of bucks based on the Mankind 45 label, which I think is the best ever designed. All of the Nashboro Distro labels were good, but the simplicity of this one seems out of place among the rest. I’m sure I’ll post some tracks and images of other Nashboro Group imprints (like ABET and excello), but on to the music. Not only does this track a tight drum intro, but it all seems a little out-of-time. But, of course, the whining waaah-waaah-waaah horns pull it all together. A nice little uptempo number with a cool undermixed guitar solo. There’s even a scratch on the disc that creates a well-timed skip that is almost unnoticeable. 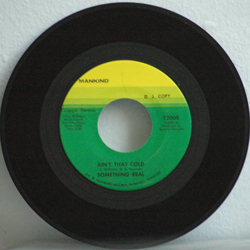 “Ain’t That Cold,” by Something Real on Mankind 45 (197?). 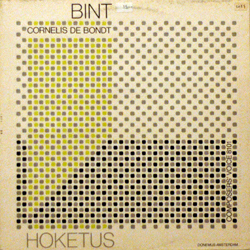 I haven’t found much of anything online about this act or this record save for a few postings of copies for sale for way too much money. I’ll update the comments if I learn anything. Published on November 26, 2007 in 70s and funk. Closed Tags: 1970, bass, film, funky, fuzz, horns, instrumental, moody. First off, this song is way too short. It’s the standout track on the soundtrack to Russ Meyer’s Cherry & Harry, & Raquel, which I haven’t seen. Franklin must be some slick, meandering cat though, if this is his theme. I put this on a few mixtapes in the late 90s, and everyone who heard it wanted to borrow it to sample. I felt like it deserved to live on its own (and I am usually all about remixing things) because it was so unique. I’ve played this track at all points on my turntable’s pitch sliders, and it always comes out sounding sludgey & fresh. Bill’s got some pretty impressive composing and music direction credits (including being the uncredited stock music composer for Romero’s original Night of the Living Dead). I bought this record at Papa Jazz in Columbia, SC, about 10 years ago. You see a lot of Russ Meyer soundtracks repackaged and reissued, but I’ve yet to see this one among them. All of the music is worth a listen, though. Incidentally, I was first pointed to Russ Meyer’s movies by Redd Kross’s first album, Born Innocent, on which they cover “Look On Up From The Bottom,” as played below by Beyond The Valley of the Dolls’ The Carrie Nations. I’m still not sure which version is better.